YCombinator’s Demo Day is a farmer’s market for rich technology investors. Technically, it’s not really a market: it’s a now-familiar series of dozens of rapid-fire presentations from earnest young people who have studied the ways of Paul Graham’s incubator, which has helped launch startups such as Airbnb, Dropbox, and Heroku over the years. The latest Demo Day took place Tuesday at the Computer History Museum in Mountain View. Demo Day is about bringing together buyers and sellers. The buyers are investors — both the regular Valley venture capitalists and rich people looking for investment opportunities like former San Francisco 49ers quarterback Joe Montana — and the sellers are YC (which is the initial investor in many of these startups) and the founders themselves, hoping to trade equity in their fledgling companies for the capital needed to expand their operations. Some of the ideas demonstrated were silly, while some were potentially huge. What struck me, however, as a first-time attendee to the show, was how commoditized the marketing of “innovation” can be. There were 48 presentations from company founders lasting about 180 seconds each and they were all strikingly similar in execution. “We’re (a successful startup everyone has heard of) for (a concept or market everyone can relate to)” was a pitch convention used by easily more than half of the startups. Nearly all of them showed off growth curves, which in some cases were eye-rolling when things like “week-over-week growth” were touted for months-old companies. And nearly all of them declared (with varying degrees of justification) that they were targeting a multibillion-dollar market, with the implication that if they captured even a fraction of it, they (and their investors) would profit immensely. But despite the cookie-cutter sales pitches, Demo Day is a refreshing reminder that everybody has to start somewhere, and that (as Om likes to say) startups are the atomic unit of innovation. And unlike in past years, when advertising-driven social-networking apps dominated the pitches, there were an awful lot of solid business plans that involved charging real money for products and a fair amount of founders trying to make old-fashioned advances in computer science, robotics, and enterprise computing. In the spirit of most Demo Day coverage, here are the five startups from the summer 2013 class that I thought shared GigaOM’s vision of what’s important in the tech world. The startup I liked the most presented its pitch off the record, so I’ll have to wait to tell you about that one. Apptimize – I missed Apptimize’s presentation thanks to traffic and a miscalculation on when I needed to leave to get down to Mountain View. But Bipul Sinha of Lightspeed Venture Partners, who I bumped into just after lunch, said it was his favorite of the morning session. Apptimize makes it possible for mobile developers to do A/B testing — the de facto standard for web development — on mobile apps that are harder to update on the fly. Ixiplay – Exhausted new parents know that kids love screens. But many would prefer to put their kids in front something a little more mentally stimulating than Yo Gabba Gabba. Ixiplay (which could use a better name) is building a robot paired with flash cards and an app store that helps kids learn by providing emotional feedback with an expressive series of gestures. It’s not cheap ($299) but the clear joy shown in a video of one of the founder’s daughters playing with the robot probably sold a few units to the audience, and could help crowd-fund its development. Floobits – Geoff Greer of Floobits didn’t aim low with his pitch. His startup believes that someone will eventually write a protocol to replace HTTP (hypertext transfer protocol) as the foundation of the web with something better suited for real-time collaboration and updates. Floobits is building a pair programming tool that’s sort of like the ill-fated Google Wave (“Google isn’t stupid,” he said) in that it allows more than one developer to work simultaneously on a project. The ambitions are probably a little too lofty, but you have to admire the chutzpah. Amulyte – If you or someone you know has even fallen and been unable to get up (or, despite knowing it’s a serious matter, you’ve chuckled at that classic commercial), you know that many seniors rely on some sort of wearable monitoring service in case they get in trouble. 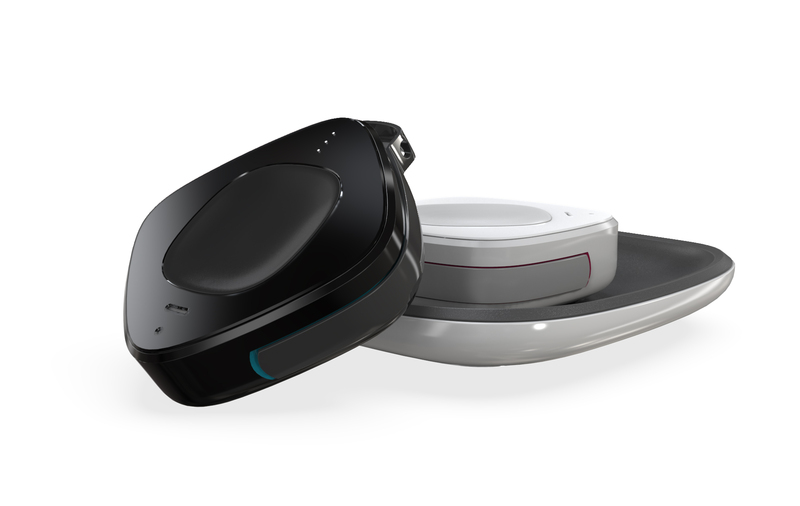 Amulyte is building a modern wearable computing product (pictured above) along these lines that uses standard internet protocols and technology (such as Bluetooth, Wi-Fi, and cellular connections) to summon help: which means it can be used anywhere, instead of having to be in range of its proprietary base station. CoreOS – These guys want to replace Unix (no small feat there) with a version of Linux that is suitable for webscale server deployments by companies like Google(s goog) and Facebook(s fb). Their tagline in the program was “Google’s infrastructure for all,” in that building custom software to control massive server deployments is really only something that huge companies can pull off. No less an authority than Amazon’s Werner Vogels recently tweeted about his interest in the project. After raising the largest Y Combinator seed round to this day, Ark.com at http://www.ark.com, is a search engine that everyone should pay attention to. CoreOS looks promising. I’d grab this one if I was Richie Rich! I really like that Amulyte!!! Looks like it might help lots of people!! !